Elevate your cookery to the heights of professionalism, with the most beautiful, practical and clever kitchenware around. French brand Inox know what they’re doing when it comes to making quality items for your kitchen. With their stunning range of stainless steel and copper products, they’re the perfect choice for any household. 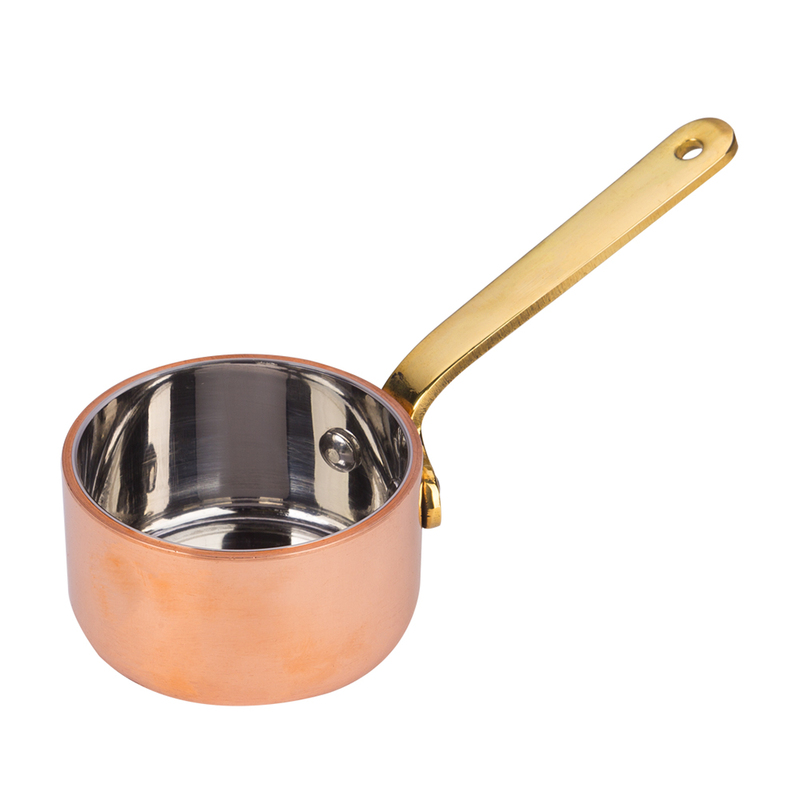 The Chef Inox Miniatures Copper Saucepan is a delightfully diddy piece of cookware that you’re bound to fall in love with. Made from durable copper, this item is both long-lasting and highly functional – guaranteed to provide you with hours of cooking time. Whether you’re making a sauce or a soufflé, this is one item you can’t afford not to have in your cookware collection! Made from professional grade copper. Perfect for individual portions and oven to table. Ideal for souffles, puddings, sauces and more. Dimensions: 5cm (l) x 3cm (h) x 5cm (d).